Applications: These are professional grade diamond drill bits using vacuum brazing to fix plenty of premium grade diamond at the cutting edge, which is best for porcelain tiles. Suitable for all hard tiles and stone surfaces including porcelain, ceramic, marble, granite and other masonry. Use with a standard power drill (with hammer action turned off). Maintain a cooling water feed for longer life. 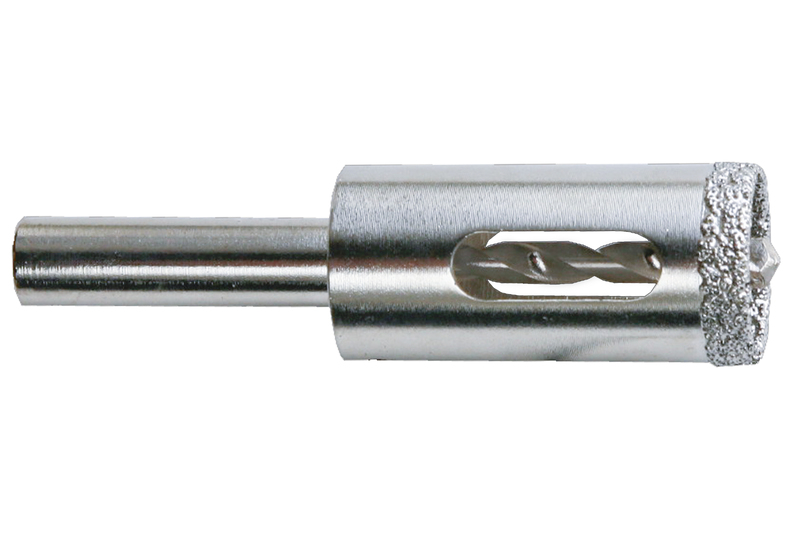 It may be easier to use a drill guide for drill sizes 5-12mm. Sizes 18mm and larger have a tungsten carbide pilot drill in the centre. This can be removed once drilling has started (key supplied). Open core minimises cutting work by abrading the outer circle only. Clearance slot for easy removal of drilled materials. 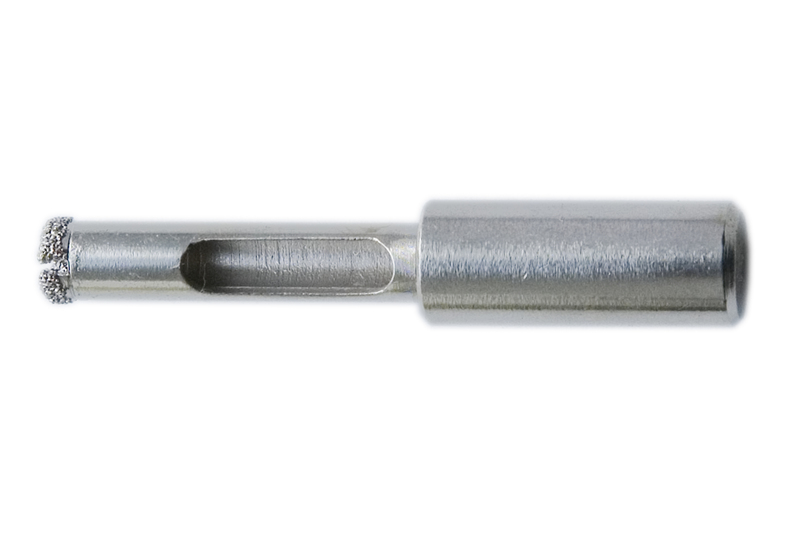 Larger sizes (18mm upwards) have a pilot drill, which can be removed after starting the hole, (key supplied). 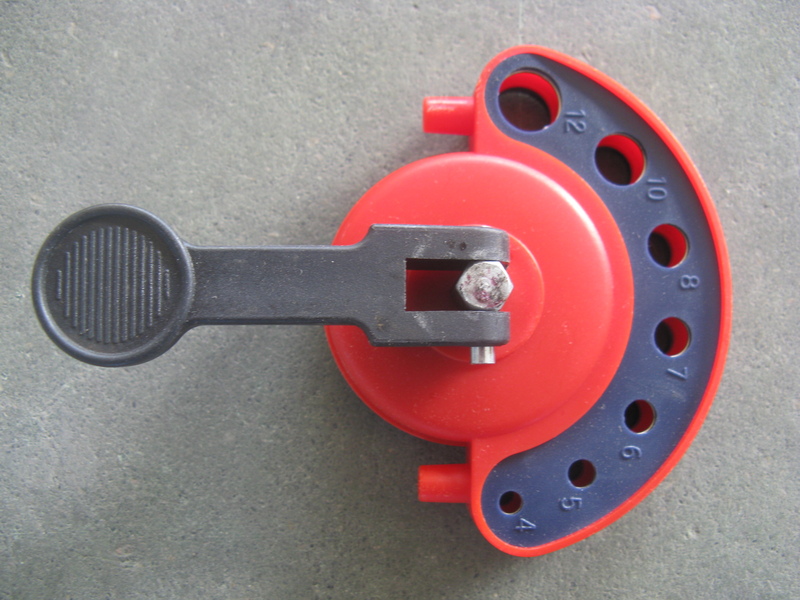 Suitable for porcelain, ceramic, marble and other hard materials. Also Available: We also stock premium dry drill bits for situations where water would be inconvenient. We stock superb tile cutting diamond blades for porcelain. Stock: Sorry the 6mm size is currently out of stock. They are in stock in the dry use type. We will normally dispatch orders received by 3.00pm on any working day, that same day. Orders valued at below £50.00 + VAT will be given the default 2-3 day delivery throughout UK at a charge of just £3.00, unless next day delivery is selected at just £5.00. Orders valued £50 or over + VAT will be given free express delivery. This will be next working day for most of Great Britain but a little longer in Northern Ireland, Islands and some remote areas. We can offer a faster Before 1.00pm option for deliveries to most of mainland Britain for an extra £4.00 + VAT. Saturday delivery is available for most parts of Britain for an extra £10.00 + VAT. Remote Areas: We do not surcharge deliveries to Northern Ireland, Islands or remote areas of UK, but some options such as next day or before 1.00pm may not be available. We have carrier contracts that enable us to deliver to most countries. Please ask us for a quote if requiring delivery outside of UK. For the Republic of Ireland, there is a dedicated website: www.rightlines.ie which will calculate the delivery charge for you. This is normally subsidised and in many cases free. 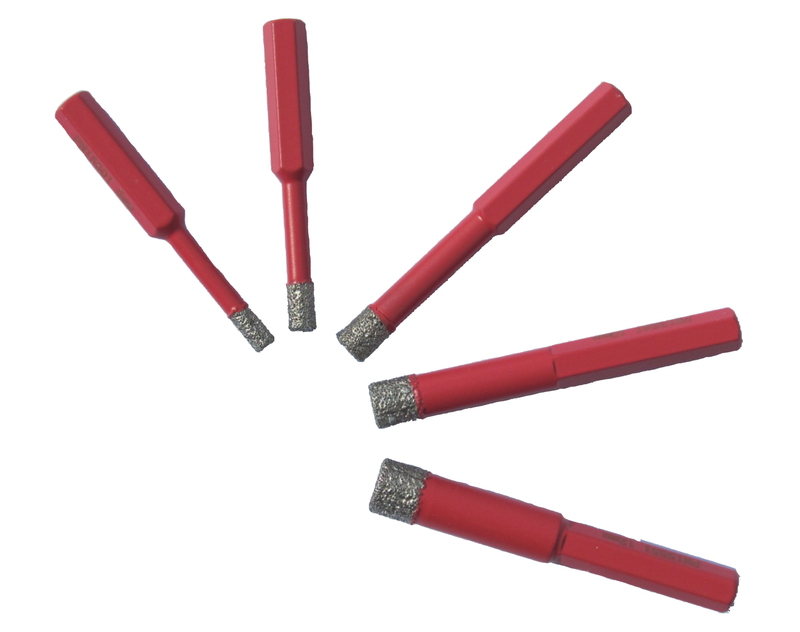 Dry drill bits help reduce mess in installed applications. These premium bits will dry drill porcelain using wax lubrication. This drill guide helps position the holes in the tiles correctly. Our ultimate diamond blade for cutting really hard materials such as grade 5 porcelain floor tiles. This range is available from 115mm to 355mm for a wide range of tile saws and angle grinders. These are dished shaped diamond blades to help cut curves and shapes in tiles and masonry. Available in size 115, 125 and 180mm for angle grinders. © 2018, Abrasives For Industry Ltd.